Everyone loves to be embraced so enjoy this feeling on a daily basis when you wear your beautiful white diamond necklace. 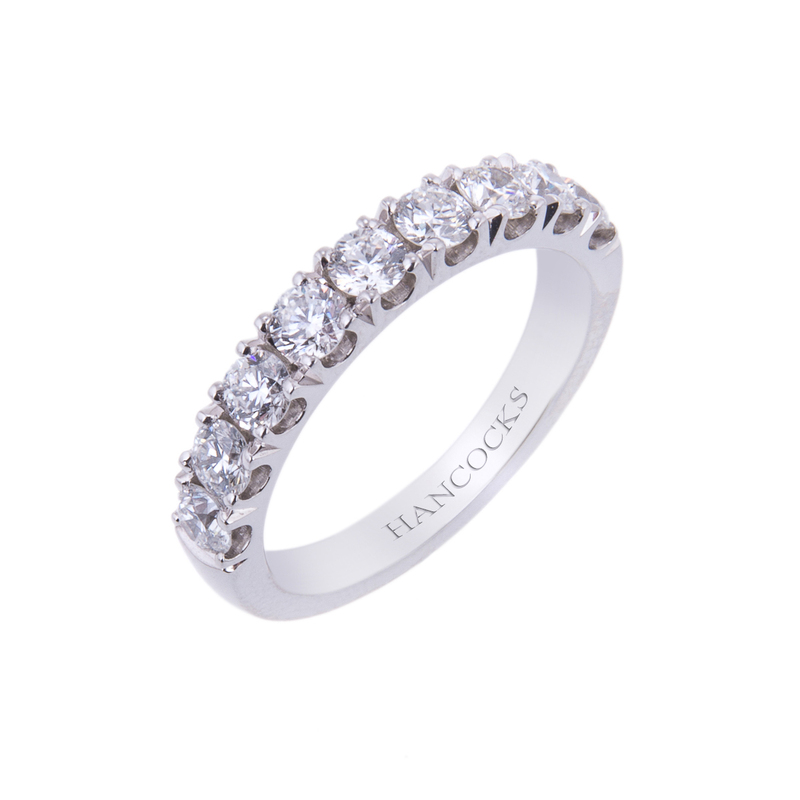 Feel like royalty as you fix the clasp of some of the finest quality diamonds from Hancocks Jewellers. Hancocks Jewellers of Manchester has been helping their clientele purchase with confidence for over one hundred years. Hancocks Jewellers chooses only the most superior white diamonds available. 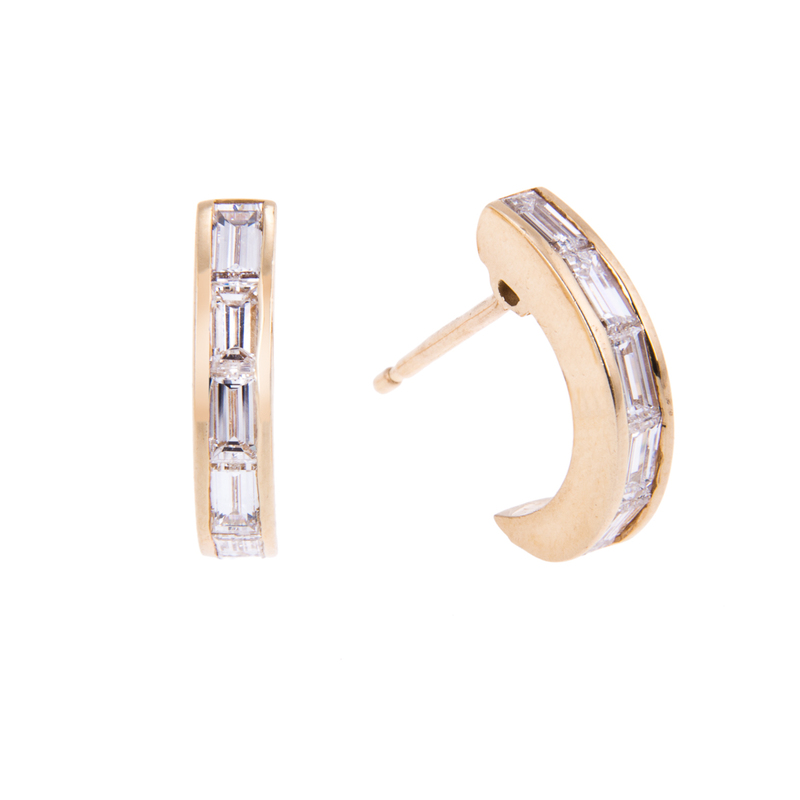 You will love the myriad of choices when it comes to the cut of the diamonds as well as the quality, clarity and colour. They will be able to design a necklace with a single carat white diamond or the number of carats that you specify. 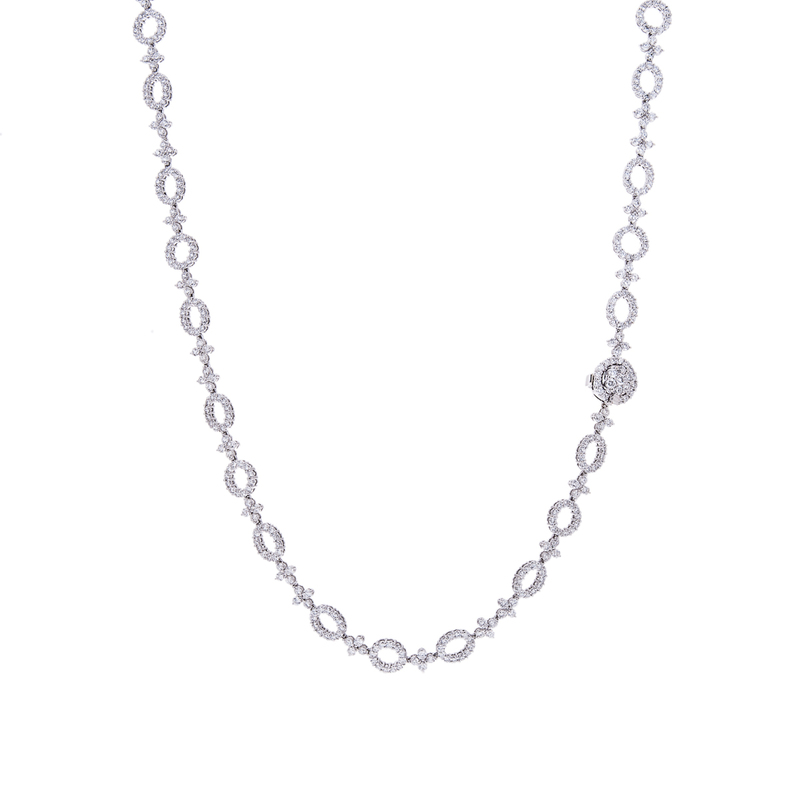 Take the magnificent eighteen carat white gold necklace with two carats of brilliant cut diamonds. You will bask in the joy you feel when you are wearing this breathtakingly beautiful white diamond necklace. Perhaps a mere two carats aren’t enough splendour for you, then come into Hancocks Jewellers of Manchester and behold. The spellbinding glory of an eighteen carat white gold necklace with 15.46 carats of channel set baguette cut diamonds. You will feel every ounce a woman when you clasp this royal jewel upon your neck. Maybe someone is looking for the perfect gift idea for their loved one? The highly trained staff at Hancocks Jewellers has been pleasing the discerning client with their knowledge and they will be able to assist you in your quest. They will ask pertinent questions that will lead to the flawless diamond necklace that will be just right. Hancocks Jewellers is located on High Street in Manchester for your shopping pleasure or you can log onto www.hancocksjewellers.co.uk. 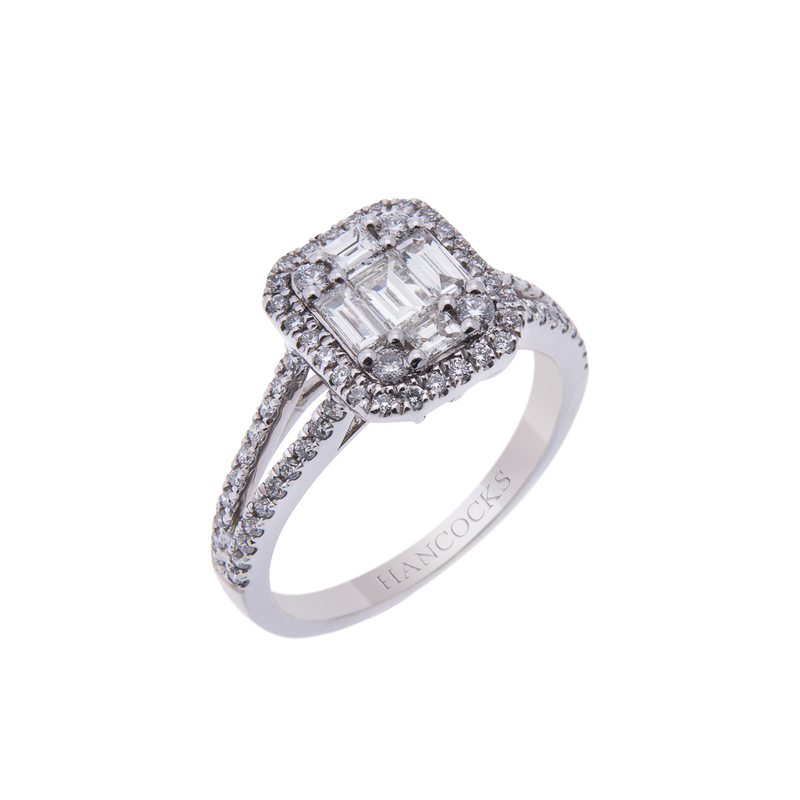 Whether your purchase is of a white diamond necklace or one that combines the beauty of precious stones with diamonds, Hancocks Jewellers will be there to help.